Finding a good beard trimmer can be challenging sometimes, especially if you don’t know what to look for in one. There are just so many of them out there. 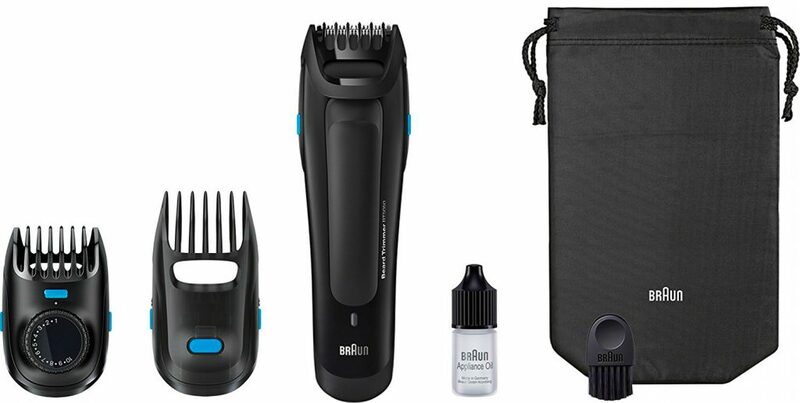 To help you in your search, I decided to review one of the most versatile trimmers available, the Braun BT5050 beard trimmer. 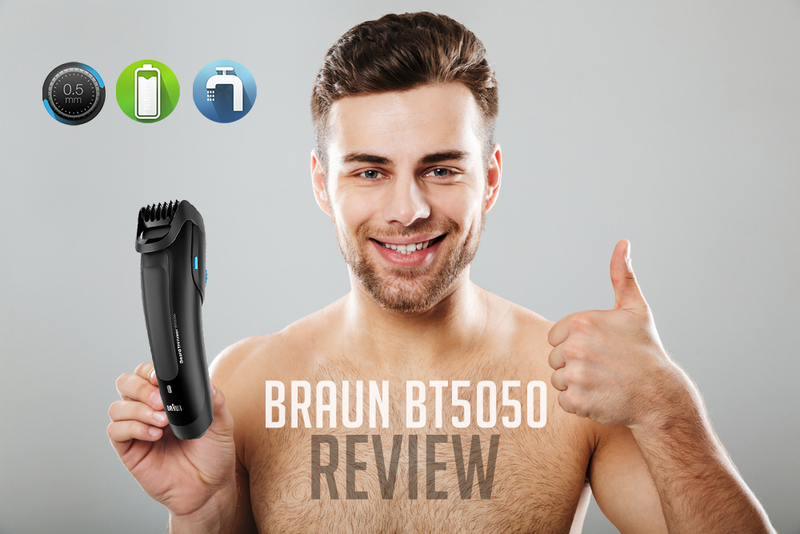 This Braun BT5050 review will give you all the information you need to decide whether this trimmer fits your beard. If you’re looking for a beard trimmer that offers just the right amount of everything, the Braun BT5050 might be a great choice. No matter the beard style you have or wants, this one can probably handle it. 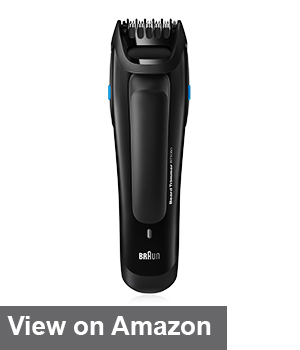 Because of its different accessories and precision settings, the Braun BT5050 beard trimmer is for virtually everyone. Since the price isn’t that high considering everything it does, I think it’s worth considering. A lot of men have issues finding a trimmer that can help them maintain their long beard. With this one, that shouldn’t be a problem anymore. 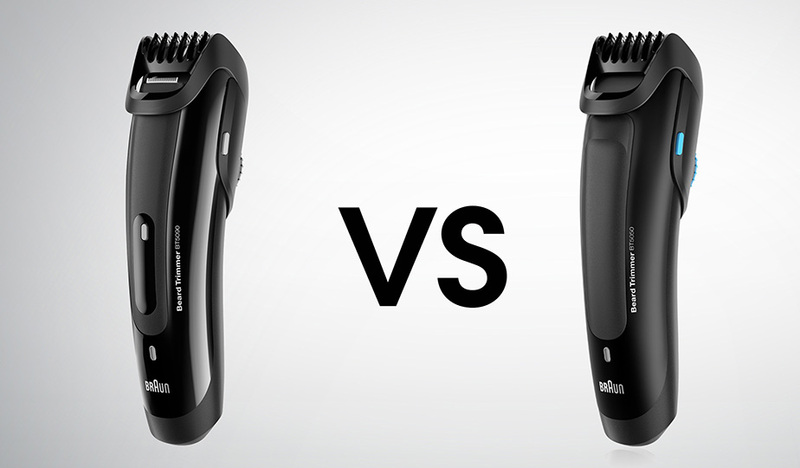 For a mid-range trimmer, Braun BT5050 is packed with an impressive number of features. Not only can it tackle pretty much any shaving task, but it also does it quickly and with great precision. Let’s start with the first thing you would notice about this trimmer – its design. Aside from just looking great, it’s ergonomic and very well thought out. It’s comfortable to handle and use, and the precision dial makes switching between different settings quick and easy. The first thing I want to mention is that this trimmer is a powerhouse. High-quality razors paired with a powerful motor create a hassle-free trimming experience. 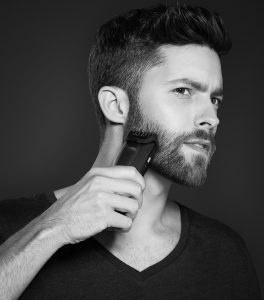 When looking for a good beard trimmer, you need to make sure it can handle your beard type. This is especially important if your beard is thick or curly because you wouldn’t want it to pull your hairs and irritate your skin. With the Braun BT5050 beard trimmer, you can rest assured that this won’t be an issue. 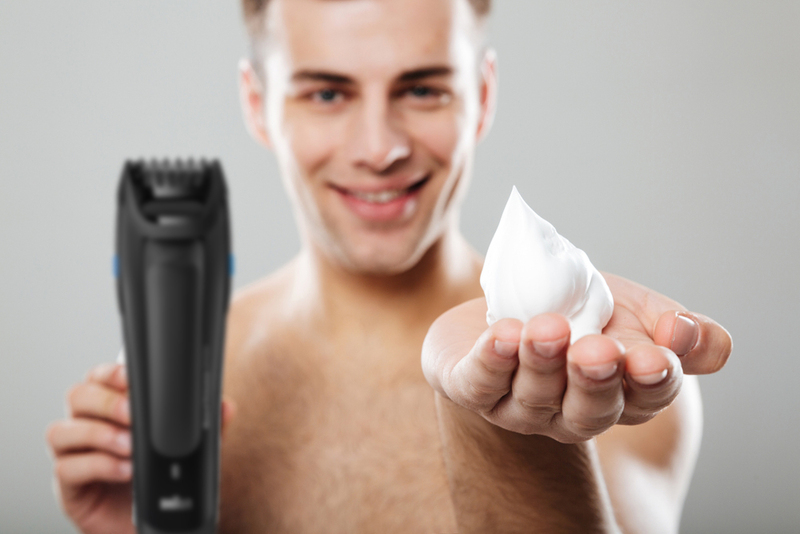 Shaving will be smooth, even if you have sensitive skin. However, some users have reported trouble with the consistency of the trimming, but it happens rarely. Probably my favorite feature of this trimmer is how many options it offers. 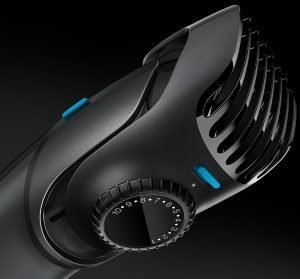 There are two Click&Lock combs included, which together give you 25 different precision settings to choose from. The first one is the precision comb, which you can adjust anywhere from 1 – 10mm in 0.5mm steps. This one is great for stubble beard, as well as short to mid-length beard. The other one is a long beard comb, which offers the length of 10 – 20mm in 2mm steps. This one will make sure that grooming even the messiest of beards is easy and simple. With this kind of flexibility, you can achieve great results in no time, whatever your beard type. Another great advantage that Braun BT5050 has is that it offers both corded and cordless use. The upsides of cordless trimmers are obvious: they’re portable, easy to handle without getting tangled, and a lot more convenient than corded ones. However, more often than not, you’ll be in a situation where you need a quick trim but your trimmer battery is empty. With this one, you don’t have to wait for it to charge, just plug it in and you’re good to go. The battery of the Braun BT5050 beard trimmer is pretty impressive. With up to 50 minutes of working time, you won’t have to worry about it dying when you need it the most. The problem is, once it does, it takes a painfully long time to charge. Eight hours of charging for 50 minutes of shaving isn’t really the best ratio, but the corded use feature makes up for that. There is also an LED indicator that can show you when the battery is low, so you can be prepared. A handy feature that every good trimmer should have is waterproofing. When it comes to this, Braun BT5050 doesn’t disappoint. This doesn’t only make trimming your beard easier in some situations but simplifies maintenance as well. When you’re done with it, you can simply put it under water and wash it easily. This is where this trimmer doesn’t really impress. Like most low to mid-range trimmers, most of the parts are made of plastic. This can be a problem because of the detachable combs, which can break if you’re not careful. But in all fairness, you can’t really expect any premium materials in this price range. It’s still durable enough to last for quite some time, and the replacement parts are pretty easy to find. Of course, the blades are made of high-quality stainless steel, so you won’t have to worry about their longevity. If you’re not impressed with what you’ve read about the Braun BT5050 so far, I have another one to show you. The BT5070 is an upgraded version of the BT5050, which can be a good choice if you can spare a couple more bucks. Truth be told, they’re not really that different. The only major difference is the battery. If eight hours seems too long to wait for your trimmer to charge, you’ll be more than satisfied with just one hour of charging time that the BT5070 requires. The BT5070 also features a sleeker-looking design than the BT5050, so if looks are that important to you, this one can be the right choice. So as you can see, Braun BT5050 is worth considering for many reasons. There are very few beard trimmers in this price range that offer this much in terms of features. It offers great performance, and it’s simple to use, so even if you’re not very experienced with using electric trimmers, you’ll get familiar with the way this one works pretty quickly. And if you’re very picky about battery power, and don’t want your trimmer to require more sleep than you do, there’s always the BT5070.